Prefix is a free profiler from Stackify. 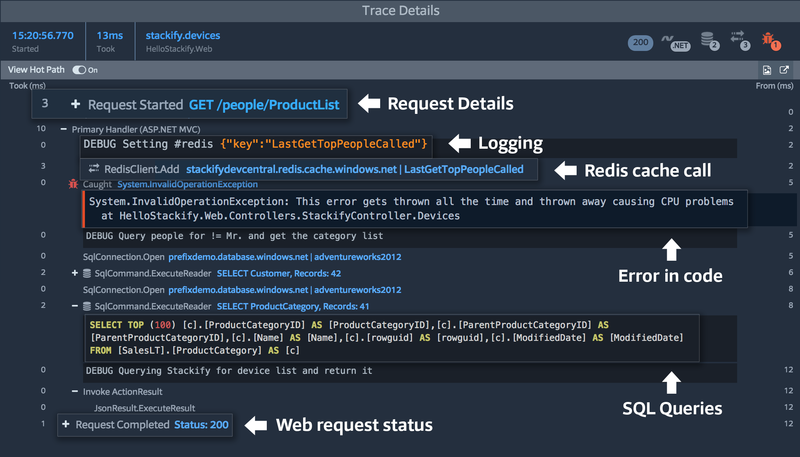 It takes the same lightweight profiling that we offer on your production servers with Retrace and makes it available while you are writing and testing your code on your workstation. Check out this promo video to get a quick idea of what Prefix does. Also check out our website to learn more. Prefix runs in the background while you are running your applications. It captures all of the web requests and provides detailed traces or snapshots of what the requests did.